James Berry and Associates, always provide professional, accurate and informed advice, and coupled with their attention to detail and speedy action make them the ideal legal consultant. Vasumathy practised in India for six years in the Civil as well as Co-operative Courts of Mumbai. Her main areas of practice were conveyancing (property sale and purchase agreements, property development agreements, flat sale agreements and conveyance deeds) and inheritance. 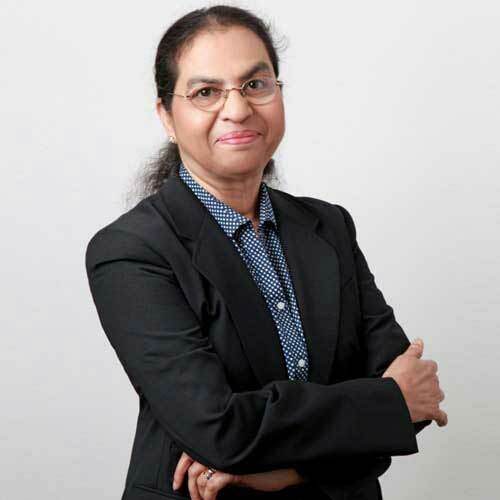 She joined James Berry & Associates in 1992 and her practice areas are incorporation of all types of companies including branches and representative offices of foreign companies under Federal and State laws as well as in the various free zones in UAE, offshore companies in the UAE and elsewhere. She also specialises in labour law, trademark registration, share transactions, restructuring and related documents.